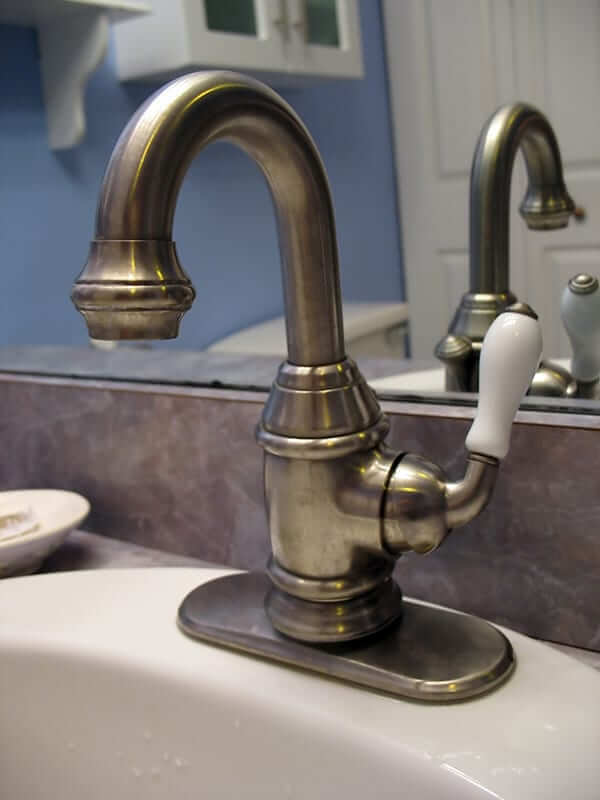 In parts of the Philadelphia area it’s not uncommon to see issues with hard water deposits. In a previous article we looked at how these deposits can build up in the shower and sink faucets causing a decrease in water pressure; in this article we’ll look at where these deposits are coming from. According to the United States Department of Energy at least 75% of American homes utilize water that is classified as moderately hard water or higher. 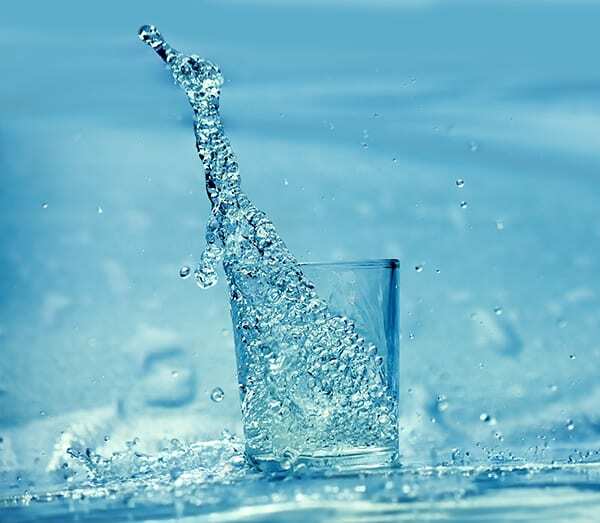 Often times you can determine whether you have hard or soft water simply by drinking the water (don’t worry, hard water is not harmful, it’s actually quite natural). However, a better test is the soap test. Soap, for the most part, is made out of sodium stearate; which when combined with water bonds to dirt particles and makes them easier to be removed. With hard water the soap reacts with the hard water minerals making an in-soluble compound. (Doesn’t dissolve easily with water). This is why you can’t get a really good lather with hard water and also why it leaves behind those famous hard water deposits. When you turn on your faucet the water coming from your tap is retrieved from a repository that either stores or stores and filters water for municipal use. Depending on the area that you live in within Philadelphia, the water treatment process can vary. To get to the water repository it had to flow through layers of rocks where it naturally picks up the different mineral deposits. The mineral content can vary because of evaporation and collection from rainwater through nature’s natural process of purification. What are the most noticeable results of hard water? Hard water can be blamed for a variety of household issues such as the lack of ability for soap to do its job described above, but there’s more. Hard water deposits can also build up as a film on dishes and glassware making them spot and streak regardless of the soap used. Sometimes dishwashers get a bad rap for not doing a good job when it’s actually the hard water interfering with the soaps process to cling to the dirt and wash it away. Bathtubs and sinks can develop a hard water ring and a noticeable line build up can be seen on glass shower doors. Hard water deposits can also build up with in the pipes themselves and over time cause a restriction in the flow of water decreasing water pressure. What can I do about hard water in my Philadelphia home? First, get your water tested. There are three municipal water systems in the Philadelphia area that filter and treat the water. Depending on how long the water sits in the system it can fluctuate the amount of minerals within the water, so don’t rely on a single test. Many “at home” testing kits are available averaging from $12-$30 from home-improvement stores. Next, weigh the costs. While Philadelphia is listed as an area with moderately hard water, the level of aggravation and occasional extra cleaning may not justify the costs of water softening treatment equipment that starts at $400 and can easily go into the thousands of dollars. For years Philadelphia residents have trusted iFixdit, LLC for all their master plumbing service needs. Whether your needing plumbing repairs, plumbing upgrades, drain repair or fixture replacements; we are available 7 days a week, 365 days a year to help. Give us a call today and find out the difference that using a locally owned and operated professional plumbing company can make.